Hello there! Thank you for visiting my travel blog / diary. My first name is Ma. Patricia, but I prefer to use my nickname – Rica. I was born and raised in Bacolod City in the province of Negros Occidental (Central Philippines) but currently reside in the Philippine capital of Manila. 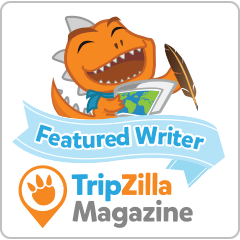 I created Rica’s Rucksack travel blog in 2010, a year after my first and life-changing backpacking journey along the famous Thailand-Cambodia-Vietnam route. The blog started out as a regular travel blog with the usual photos, but in 2011, I decided to write more about my personal journey. Let me put it this way: 2011 made me realize a lot of things. You see, prior to it, I thought life was all about partying, getting wasted, spending a big amount of cash on liquor and other “unnecessary” things. My directionless past somehow blinded me from seeing and experiencing the beauty of life. I was too proud and selfish. Even after experiencing a drunk-driving, hit and run car accident that nearly put me on a hospital bed, I was still too stubborn to wake up and listen. Then came 2011 and life turned around for me: my family was hit by a financial storm and two of my friends passed away. Since then, I started valuing life more, and this new appreciation for life led me to a book that played a huge part on my journey: Vagabonding by Rolf Potts. Vagabonding means “taking the time off from your normal life to discover and experience the world on your own terms.” Inspired by the book, I decided to create my own journey, which eventually opened a lot of doors for me, including publishing my first book , The 3rd World Traveler, and quitting my 9-5 job to travel for a good nine months. I’m now in my late 30s and so much has happened – wonderful, sad, bad, amazing and exciting things. I’ve learned a lot and I’m still learning (life, after all, is a never-ending journey). But I’m happy to say that without going through what I went through in the past, I wouldn’t have been able to realize how precious this life is. And if not for the courage to create my own journey, I wouldn’t have been able to see the beauty life has to offer. So, that’s it for now. Thank you so much for reading! Aside from serving the country full-time, I write. Please see my Press / Media page for more information about my published travel articles, interviews and talks conducted. My articles have also appeared in Grief Digest Magazine, Live Tennis and Cvlt Nation. Copyright © 2010-2018 Rica’s Rucksack. All Rights Reserved. Girl! Thank you so much for reaching out. It’s so nice to hear about people who went through the same “awakening” as I did! Cheers to being brave! I went through years of partying in my late 20s and early 30s. It was definitely destructive at the end…but it’s never to late to start traveling, and once you decide it’s what you want, magical things to happen. 5 years ago I had big debt on credit cards, but the dream travel inspired me to find a way to clear it, make money, get free and since then, I’ve traveled to over 50 countries! Shelley, thank you for your kind words. I checked out your blog and your interview at Budget Your Trip and I say that it’s very inspiring. I hope to do an RTW soon but I know that I have to get out of my country to do it. But we’ll see. I’m taking it a day at time and right now I’m very content with this balance I have in life – travel and also working at the same time. I’m very open to things and I’m just thankful right now that I managed to survive what I went through (a past without any direction). And thanks for sharing My Destination’s Global Competition – I hope to submit something by March! 🙂 Wishing you and Agri all the best. Hi Rica, i saw you in CNN Phil. I got interested in your topic as guest because my youngest daughter loves to travel like you. Actually, I told her to go to your website, right now she’s in CDO by herself. As a mom, sometimes I’m worried when I know she has plan to travel.Anyway, thanks and good luck to your dreams. Hello! Thanks for dropping by. I totally understand how you feel. I don’t have a child but I do have a niece who travels by herself as well and her parents worry everytime she does; I also worry of course. But then, it’s a big world out there and we need to explore it on our own sometimes so we could learn more about ourselves. Feel free to email me if you have questions. Tell your daughter that if she needs tips, she can contact me anytime through my email. Thanks a lot! And all the best to both of you!